Atlanta, GA, July 9, 2018: It was an evening of soul-touching music, and an engaging meditation of ideas. 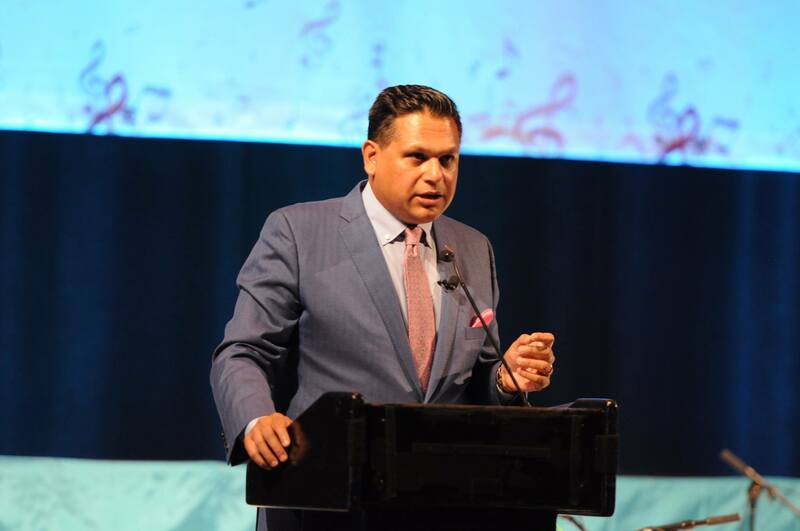 The Heartfulness Institute’s Heart Notes event with bestselling author Chetan Bhagat, revered classical musician Pandit Jasraj, Grammy-nominated flutist Shashank Subramanyam, author Joshua Pollock and TV host Dr Partha Nandi, drew over 1,300 people to the Infinite Energy Center on June 30. “The world is headed towards spirituality and compassion,” said host Dr Nandi, setting the mood for the evening. 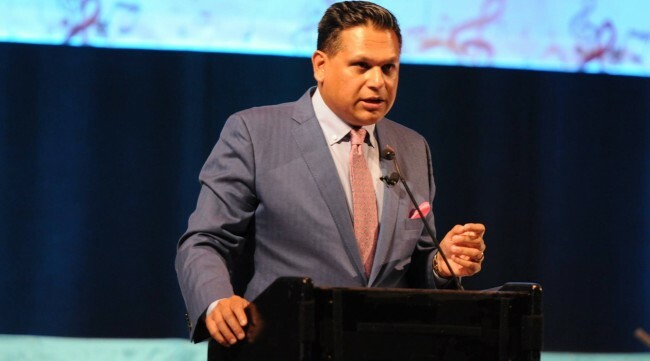 A Heartfulness practitioner, Dr Nandi incorporates compassion, a sense of community, purpose and spirituality into his medical TV show, Ask Dr. Nandi, which is aired over seven networks. Keynote speaker Bhagat, who began with the disclaimer that he was not a spiritual master, nonetheless connected well with the audience as he shared gleanings- often with wit and humor- from his literary and Bollywood journey. All over the world, people seek happiness, he said. To him, the elusive state is “when the mind, body and heart are in sync”. “If you have a spiritual component, it is liking having an ocean inside you,” he added, elaborating with the analogy of throwing a stone at the puddle versus the ocean. Earlier, a bad review would leave him feeling horrible for days, but he was now unaffected because he had started cultivating the ocean inside him. “I want to write, make movies, do talk shows, be a great father and husband and son-in-law. But ultimately, it is about having clarity of mind and connecting with myself,” he said, adding that being calm and happy is a job requirement for him, for only then would story ideas blossom. Chetan Bhagat in conversation with Joshua Pollock. “Be so busy improving yourself that you have no time to criticize others,” he concluded. 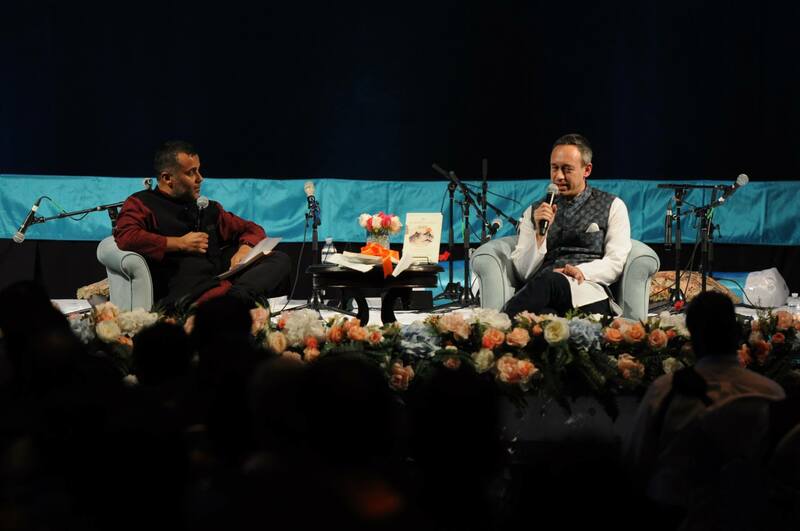 Bhagat’s keynote was followed by his engaging conversation with Joshua Pollock, the co-author of ‘The Heartfulness Way’ which was released at the event. The book is a series of illuminating conversations between Kamlesh D. Patel – widely known as Daaji, the fourth guru in the Heartfulness tradition and Pollock, where the former reveals the principles of the Heartfulness practice and philosophy. A pertinent question in the Q&A related to children being taken apart from their parents, and brutal crimes committed against them. “Is there still hope in such a world? Can we still live in a heartful, loving way,” asked Bhagat. At the end of the Q&A session, Pollock guided the packed audience to a 15-minute meditation session. The highlight of the evening was the always deeply moving vocal concert by Padma Vibhushan Pandit Jasraj, who, at 88 years, has the same magnetic voice that has made him the living legend of Hindustani classical music. The audience was blessed as Pandit ji wove magnificence into every note of the Shiv-Stuti, ‘Chidananda roopah Shivoham Shivoham’ and ‘Har Har Har Bhootnath’ in Raag Darbari Kanada. 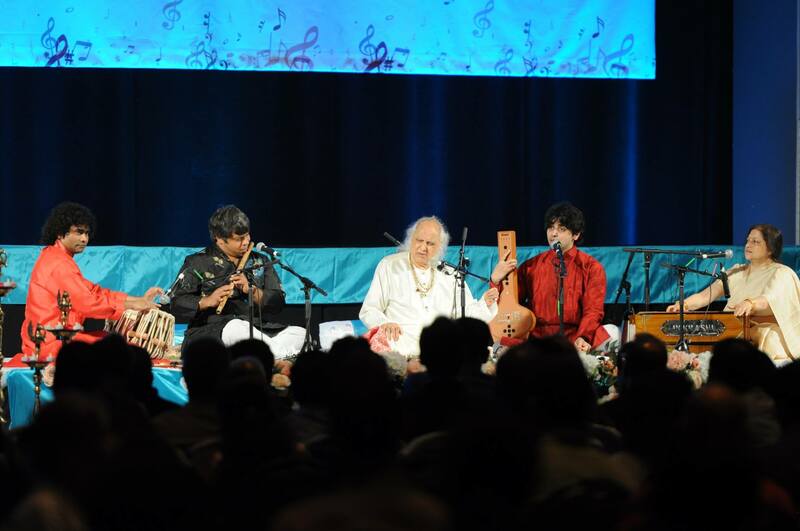 The maestro was accompanied by the Atlanta based Pandit Jasraj School of Music faculty, Pritam Bhattacharjee on the vocals, Prithwiraj Bhattacharjee on the tabla, Padmashri Tripti Mukherjee on the harmonium and vocals and Shashank Subramanyam on the flute. Subramanyam earlier mesmerized the audience with a solo recital. By the time the event ended, the Heartfulness Institute’s message of spiritual transformation was almost palpable. “One of the best local events in recent times,” a fellow journalist sighed on her way out. This writer couldn’t agree more. Heartfulness Institute is a global nonprofit organization with thousands of volunteer trainers who serve more than a million meditators in over 130 countries. Its mission is to help develop peaceful, healthy and holistically educated individuals and children, families and communities, organizations and businesses, and government organizations, with a spirit of human well-being and oneness. Heartfulness relaxation and meditation techniques are studied and proven to be effective in reducing stress and anxiety, improving sleep, enhancing emotional intelligence and exploring the heights and depths of human consciousness.